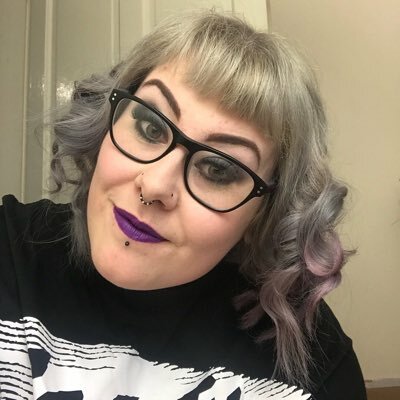 Gem's Up North : Jeffrey Campbell's purchase!!! Shhooooes!! Jeffrey Campbell as we all know designs some amazing shoes, boots and sandals. I've had 3 pairs of Jeffrey's in the past but only kept 1 pair. 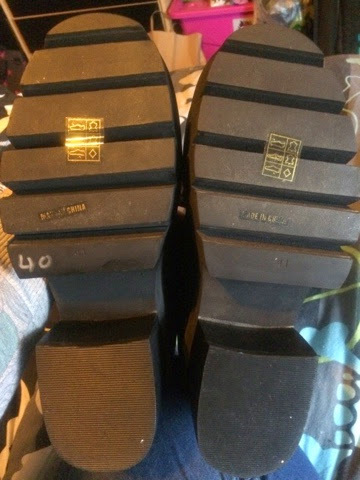 Firstly I brought some of the slightly heelless shoes but they was ridiculously high so I sent them back, they was brought from Office online. 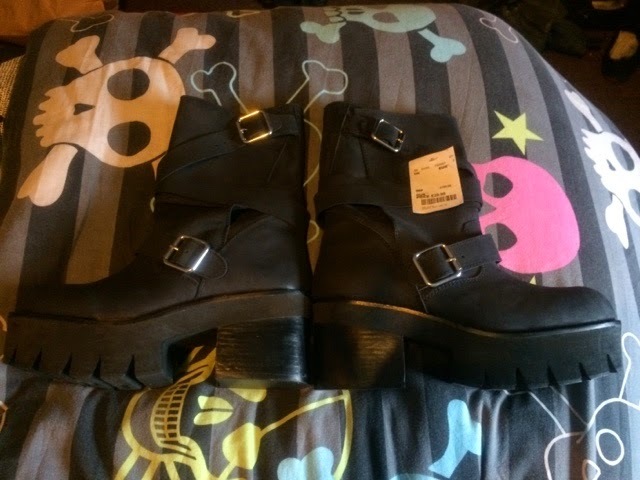 Secondly I got the long awaited skull stud ballerina shoe, brought from sole stuck on eBay but these went back on eBay a couple months after since they was a little too small for me (bare in mind Jeffrey sizes are small) I got the money back that I paid for them though an eBay sale. Lastly I got some slip on studded pumps that I brought from TK Maxx these, I kept as they fit ok and look great. However yesterday I purchased a forth pair of Jeffrey's ahhh its exciting! Good old TK Maxx won me over as usual!! I wasn't going to look at shoes; I originally went into the Manchester store to look for Christmas presents but ended up buying myself a present. When I first looked at these on the shelf I didn't actually realise they was Jeffrey's until I picked them up to try on and noticed the inside. 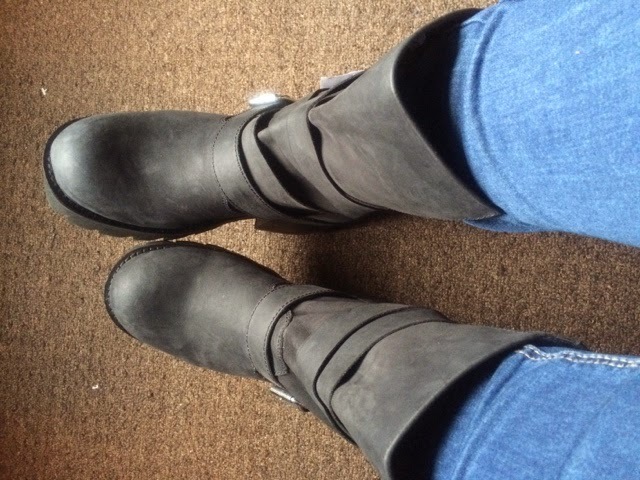 They have a long strap that wraps around the boots a few times aand buckles at the top, this was difficult to see at first since it had become unwrapped but once I got them on I figured it out. They fitted well, these had a size euro 41 on the bottom so depending on what brand you buy this could be a 7 or an 8. However they fit and that's all that matters haha. The price tag stated they was £39.99 and had been £185.00 so I was very chuffed with the price and went to pay for them. 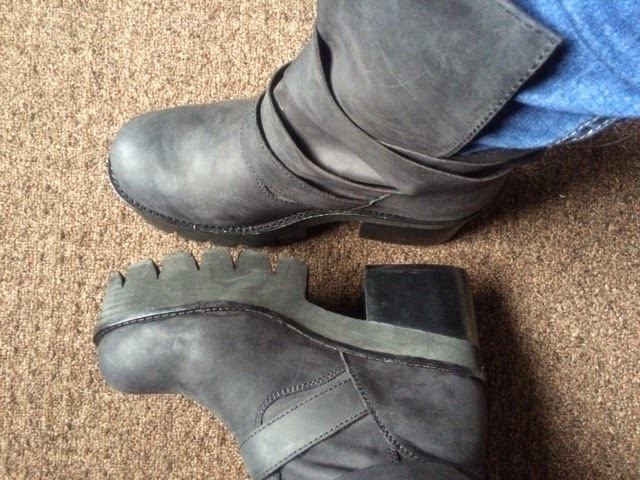 Today I've tried on the boots again and realised I can't wear thick socks with them but because they are real leather I won't need them. 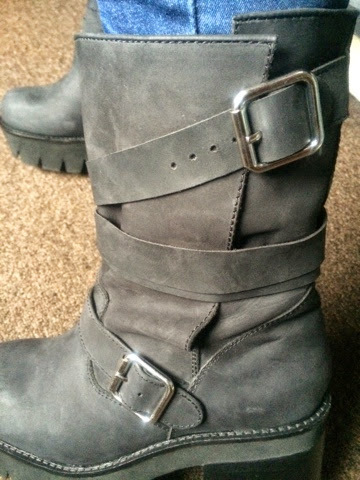 I've made sure the straps match on each boot and walked around the house in them to completely check they are ok to wear and I won't have to return them. 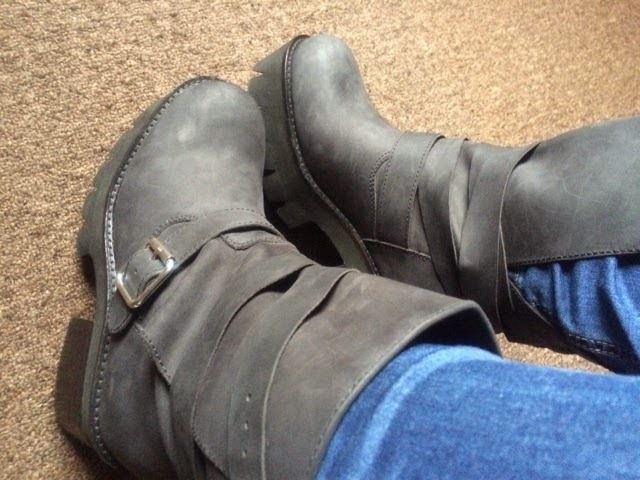 Overall very comfortable boots, they look awesome, the chunky heel makes them very on trend and fashionable and even though they are a heeled boot, the soles are pretty flat so you don't feel like your wearing heels at all. Even better they was a great price at £39.99! Christmas present to myself complete. 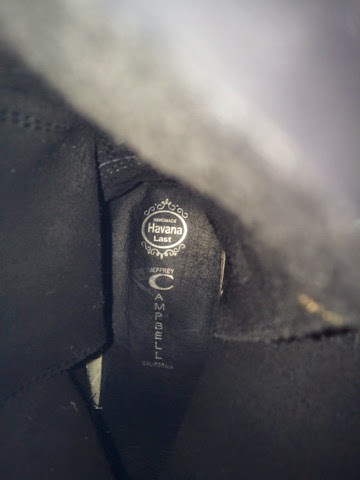 Here's a few photos of the boots being worn and not being worn. Ketchup PS fashionable zombies are a must!